PHYSICAL CAPACITY EVALUATION (PCE) by definition matches human performance levels to the physical demands of a specific job, work activity, and/or occupation. The PCE is a useful tool in determining job placement, job accommodation, or return to work after a personal injury, on the job injury or illness. WORK CAPACITIES’ PCE is objective, reliable, valid, efficient and safe. This 2 to 4 hour test directly compares a worker’s functional abilities to the physical demands of the regular or modified duty job and presents the percentage of full work an employee is able to perform. WORK CAPACITIES EVALUATION (WCE) is a four hour evaluation used to objectify if an employee can safely and confidently return to his regular job. This evaluation is performed in the clinic (2 hours) for specific testing to include strength, sensation and range of motion measurements. The second half of the evaluation (2 hours) is performed on the job site with the employee present. The employee is videotaped performing the essential duties of the regular job at injury. From this, a determination can be made as to if the employee can perform this job without restriction, if accommodations can to be made to this job, or if the employee physically cannot perform this job. A Job Analysis is to determine the physical essentials of the job or task, including repetition demands, force requirements, the postural elements, and possibly environmental conditions. A job description is a written explanation of the specific job, based on the findings of a job analysis. Without a thorough job analysis you will not have a complete or accurate job description. Most job descriptions cover the general essentials of the job but many do not list the physical requirements or have inaccurate physical data. If you do not indentify the physical functions of a job it will be difficult to eliminate ergonomic injury and or hazards. WORK CAPACITIES has a full line of ergonomic equipment to accurately measure the physical requirements of a job. A Job Description Validation is used to substantiate any questionable physical requirements of an existing job description. A Job Description Validation is a lower cost alternative to a complete job analysis. A Job Description Validation is used when there is an existing job description which needs updated. WORK CAPACITIES can validate any new or changing physical requirements of the job. A Return to Work Intervention is an assessment to ensure a quick and safe return to modified or regular duty work. We can work with an employee immediately following the report of injury involving sprains, strains, ergonomic issues or other injury. We can assist with the determination of injury and or prevention of future injury. We can provide Physical Capacity Tests along with encouragement to the employee and employer to facilitate an early return to work. We can provide assistance to the employer on modified duty recommendations. We can also provide support on how to utilize Employer At Injury Program (EAIP) and Preferred Work funds. Reduce or eliminate the chance of recurring ergonomic injury. Provide recommendation for Workers Compensation EAIP funds to promote early return to work. Assist the employee and employer on early return to regular work. An Office Ergonomic Assessment is a review of your office work area environment. In recent years office ergonomic injuries have been growing due to the rapid increase in computer/ keyboard use. We can reduce the risk of injury by adapting the work to fit the employee instead of forcing the employee to adjust to the work. We evaluate each work station in relationship to body mechanics, anthropometric measurements and current ergonomic equipment. . We provide specific recommendation for change to work areas. We may also suggest some ergonomic tools that can help prevent further discomfort or harm. In addition to injury prevention a well designed work station can enhance work performance, by removing the barriers that prevent employees from performing to the best of their ability. Reduce the potential of ergonomic injury. Reduce lost time and workers compensation injuries. Overview of Office Ergonomics, Education of Musculoskeletal Disorders (MSD’s), Adjustment of workstations, Adjustment of Ergonomic Chairs and Education in stretching exercises. WORK CAPACITIES puts you in a position to work better than ever before with custom-fit, ergonomically correct furniture and accessories. We specialize in fitting our clients with the proper equipment. Properly fit workstations can significantly change morale which will improve production and reduce injury. 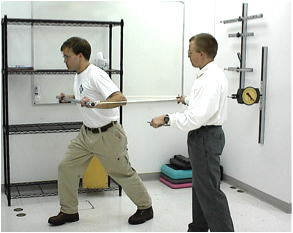 Physical Ability Testing is an evaluation conducted once you have made a conditional job offer. The employee must past the Physical Ability Test as a hiring requirement. The evaluation is designed so you can determine if the applicant’s physical capabilities meet the essential physical demands of the job. This type of post hire physical screening is defined a medical evaluation. The applicant must pass the physical test as a hiring requirement. Reduce turnover by matching employee capabilities with the job demands. Reduce the number of injuries and the number of Worker Compensation claims. Increase productivity by reducing turnover and injury. Provide a safer work environment therefore a happier work environment. Reduce lost time injuries, which improve MOD rate and reduce Workers’ Compensation premiums. Physical Agility Testing is an evaluation used by employers to identify whether or not an individual is able to perform the essential physical functions of a particular job. This type of testing is done before a job offer is made and must be established as a non-medical test. In some applications (such as police services) this type of testing has been recognized as functional testing. However, many employers have found that it is not practical to establish reasonable physical agility testing for their jobs. Please contact WORK CAPACITIES so we can determine if this type of testing meets your organizational needs. There are potential advantages to Physical Agility Testing however you are very limited by the standards of ADA and EEOC. If a physical agility test can be established where the applicant demonstrates the ability to perform actual or simulated job tasks, without falling under the jurisdiction of a medical examination, you could possibly reduce some types of injury and lower worker compensation costs.